On our Wilderwomen Retreats, we believe a healthy mix of new friends, outdoor activities, soul work, and TLC are the ideal conditions to show up and live. We understand the modern constraints around creating time for yourself. That’s why we create weekend retreats that are accessible to all women who need to hit the reset button. On our adventures, we strive to maintain a healthy balance of “campfire with a glass of wine” and “sunrise yoga to take on the day”. If you’re our kind of woman (and we totally know you are), say YES! to adventure ahead and sign up for our Wilderwomen Retreat on Lake Chelan June 21-23. Meet Kate and Jess, the Co-Founders of Wilderwomen. Wilderwomen was born out of two women with the same dream; build a community of women who empower one another on this journey we call life. Whether you’re seeking an adventurous space or a healing one, an excuse to dive deeper into your yoga practice, a much needed get away, a new skill or a new friend, Wilderwomen was created for you. Jess has spent years working in the outdoor industry whether based in career or her own passionate pursuits of all things adventure and nature. Our in-house design queen, outdoor recreation lunatic, and photographer she usually has a camera in hand, a smile on her face, and a very warm welcome to join the clan. Kate is our yoga guru, mama Faoro, in-house powerhouse and event planner extra-ordinare (extra on the extra!). She is expert at creating a platform to not only practice yoga but to also turn inward and reflect and then follow it up by making the whole room die laughing. She creates beautiful spaces, intentions, and relationships, and cannot wait to meet you! Entropy Cooks founder and head chef, Shauna Scriver, is professionally trained and brings over 20 years of experience in notable PNW kitchens like Terra Plata, Matt’s in the Market & Brasa. Raised in the verdant, rural woods of Whidbey Island, Shauna shared the responsibility of tending and harvesting beans, peas, squash, and other bounty that would come to grace her family’s dinner table. She loved seeing how the little seeds she planted could be transformed into her father’s smile and shared experiences with family and friends. This synergy between food, family, and friends is what Shauna describes as the culture of the table—and remains her biggest inspiration. Before you know it, you’ll be paddleboarding in the sunshine with the Wilderwomen. We can’t wait for you to join us! 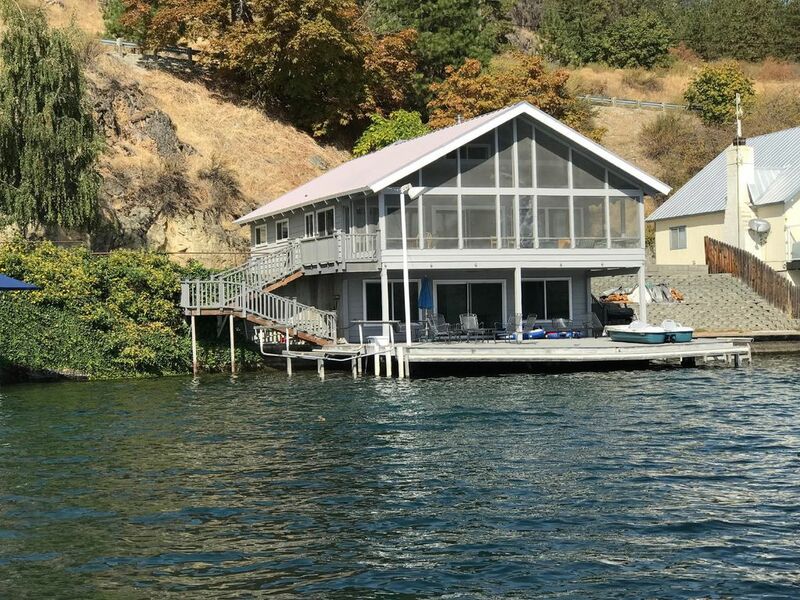 Three days and two nights accommodations in a beautiful lake-front property right on Lake Chelan. Gourmet chef prepared meals with fresh ingredients, prepared onsite, and a glass of wine with each dinner. A fireside welcome wine reception and summer solstice celebration to kick off our retreat experience. Daily yoga over the water designed to include more play in your life, connect you to mother nature and yourself, and to feel like a celebration of the skin you are in. Meditation sessions that cultivate a sense of stillness, peace and mindfulness into our hearts, minds and physical bodies. 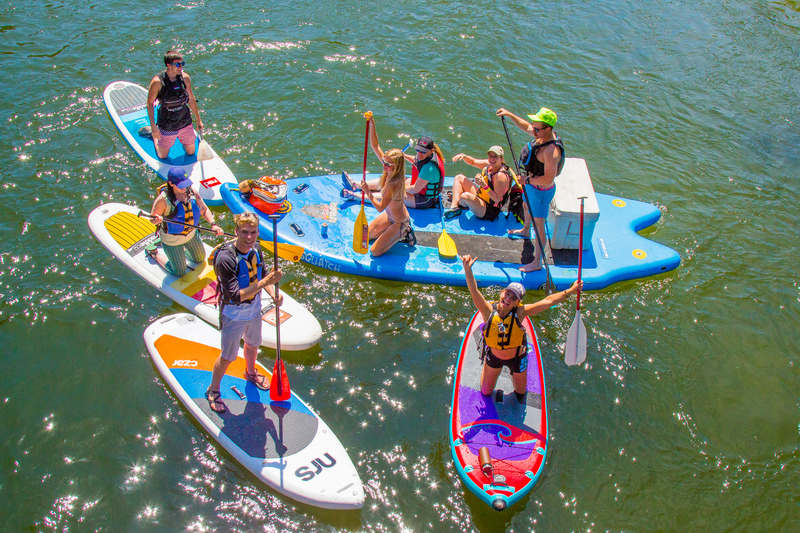 2-hour stand-up paddle board rental and instruction. Limousine wine tasting tour Saturday night. Full Moon Circle Ceremony and Yoga. Guided hiking excursion with sweeping views of Lake Chelan. Bring your bathing suit for a morning on the water; program will be held on stand-up paddle boards. Let’s spend some quality time celebrating our new friendships and our bodies with delicious wine and roundtable discussions on how to bring more play into your day to day. 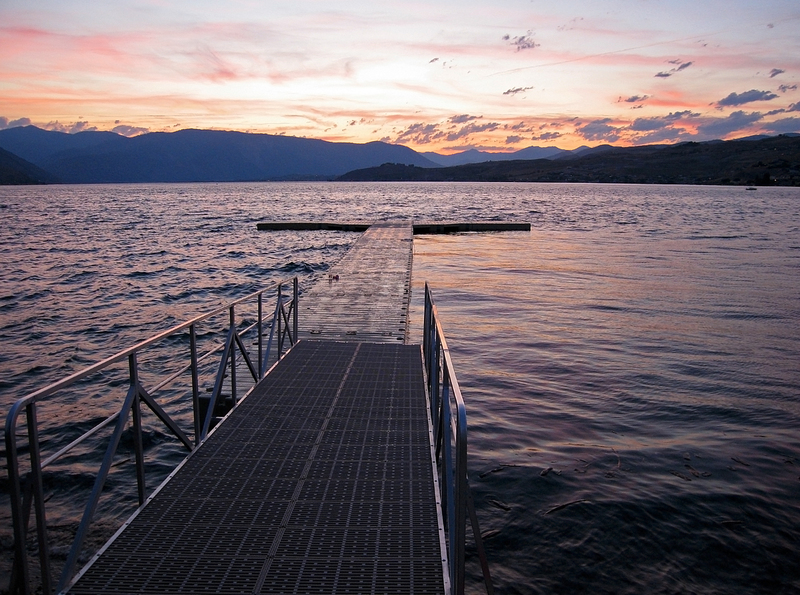 Lake Chelan is a treat-yourself getaway that many only visit on family vacations or bachelorette parties. Why not spend a whole weekend getting connected to the topographical beauty that produces one of the largest lakes in the state? Our accommodations sit directly on Lake Chelan with a large common area and kitchen, massive lakeside deck (perfect for our yoga sessions! ), and Queen and King sized beds. Chef-to-table prepared meals will be provided for Friday dinner, Saturday breakfast, lunch, and dinner, and Sunday lunch. We will have chef-prepared to-go meals for our sunrise hike on Saturday. For those that get up with the sun, we will be doing early morning yoga as well as a sunrise hike on Sunday morning with yoga to greet the day before we hop into playful work. We will spend Saturday morning slathered in sunscreen while playing on stand-up paddle boards . After a mid-afternoon nap and meal, we will take a tour of some of Washington’s best wine tasting rooms around the lake. After an afternoon of wine tasting we will come back for some free time before dinner and our full moon circle ceremony and candlelight yoga flow on the dock. Sunday morning, we will cap off the trip with a sunrise hike complete with coffee and breakfast. The hike is 7.4 miles round trip with an elevation gain of 2,500 feet, so lace up your boots and bring your electrolytes! The top of our summit is completely with sweeping views of Lake Chelan, a yoga flow for deep stretching, and playful group work. The afternoon will be open to spend some time laying in the sun and swimming before taking off and heading west. This will be the ultimate girls weekend, focusing on our tribe of incredible women, and making space for ourselves in our busy lives. 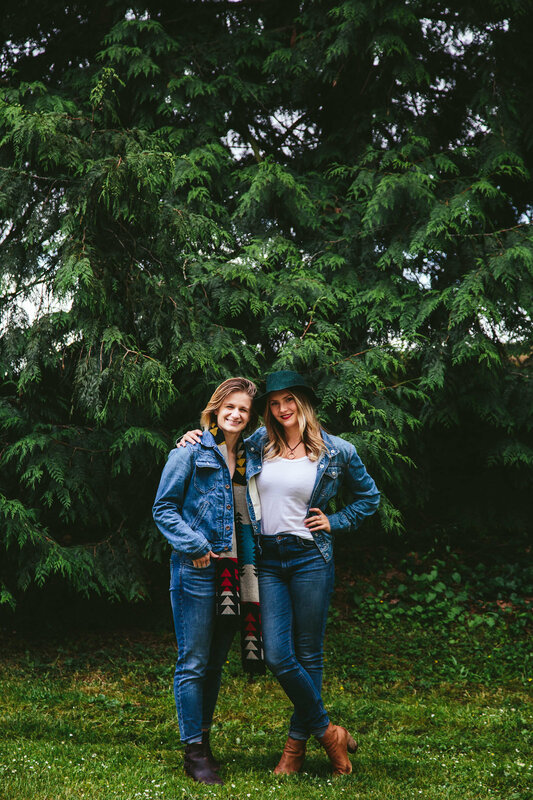 Lake Chelan is the perfect place to get away for a weekend, meet a new lady tribe, and reconnect with yourself and nature. Deposit is $500 and is non-refundable to hold your place. We are so excited to meet you! ONLY 10 SPOTS AVAILABLE. Early Bird Pay in Full price $999.00 USD until April 15, 2019 After April 15, 2019 Pay in Full is $1,399.00 USD Deposit (holds your place) is $500.00 and in non-refundable Bring a friend and get a VIP room with a VIP welcome surprise. Only two rooms available, so sign up early. If you would like to set up a payment plan, we are happy to work with you. We look forward to celebrating with you soon! This retreat has a minimum booking of 4 spots, if we do not meet the minimum by April 15, 2019 this retreat will be cancelled and you will be refunded in full. Invite your friends! This is a non-fundable deposit to secure your spot.